Featuring the longest inner Vienna indoor pool, personalized treatments, memberships and day spas. 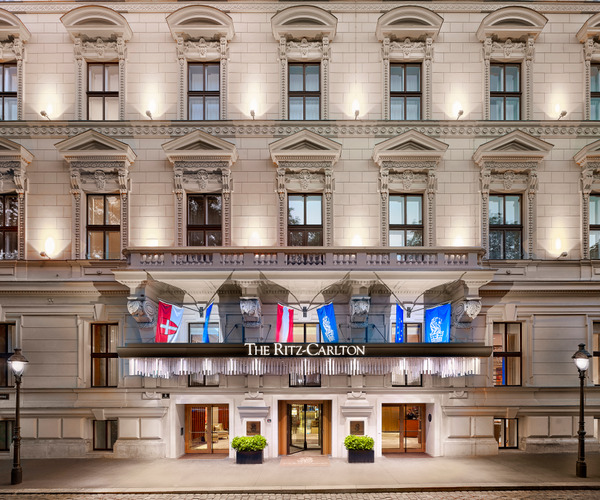 Directly located on the famous Ring Boulevard and set within four historic palaces, The Ritz-Carlton, Vienna offers a luxury experience for the most discerning guest. The Ritz-Carlton Spa, Vienna lets its guests escape to a world of vitality that revitalizes the senses and inner strength. The world-class urban retreat offers both a dedicated ladies and gentlemen wellness area, each with a sauna, steam bath and heated relaxation beds. The perfectly equipped state-of-the-art fitness center and the longest indoor pool of inner Vienna with 18 meters, featuring underwater music ensure perfect rejuvenation and relaxation. The spa’s philosophy is that health is the key to inner beauty. For this reason, The Ritz-Carlton Spa in Vienna has found the perfect partner in Susanne Kaufmann. The holistic treatments offered use only the finest organic products from Austrian plants and herbs and are highly personalized to maximize the well-being of each and every guest. Elegant treatment suites and couple suites with whirl bathtubs and steam baths are also available for absolute privacy and for an elevated spa experience. The Ritz-Carlton Spa members can enjoy numerous benefits such as free treatments, gift vouchers for the restaurant as well as discounts on spa products. 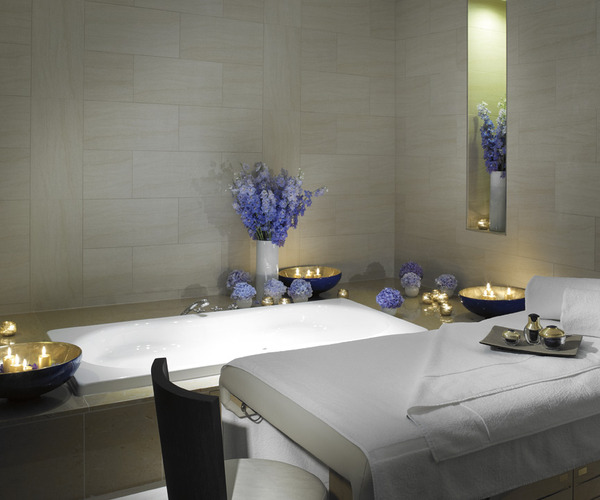 At The Ritz-Carlton Spa, true luxury translates to enhanced well-being. Whether you arrive for an hour or a day of indulgence, this spa hotel delivers a revitalizing experience in the heart of Vienna, Austria. The Spa offers a full menu of customizable treatments as well as products by both ESPA and Susanne Kaufmann, Austria's premier line of organic, luxury products. Complementing the menu of services is an exceptional facility. Ladies and gentlemen can unwind in separate lounges, each outfitted with a sauna, steam room and heated relaxation beds. Spa suites, meanwhile, let couples pursue wellness together and feature private whirlpools and upscale amenities. The Ritz-Carlton Spa offers a state-o-the-art fitness centre as well as stunning spa facilities with separate areas for men and women which each include saunas, steam rooms and heated relaxation beds. The Ritz-Carlton Spa offers the longest indoor pool in inner Vienna with muscle stimulating underwater beats and six Spa Suites for an enhanced spa experience. The hotel’s 202 guest rooms including 43 suites, invite with timelss luxury and spacious interieur design. The rooms and suites overlook the famous Ring Boulevard and the hotel’s beautiful inner garden. Each room offers luxurious feather beds, a bathroom with His and Her basins, a LCD TV with international channels and separate lounge areas. All guests have full access to The Ritz-Carlton Spa including access to the swimming pool, wellness and fitness. We advise that spa treatments shall be booked in advance. The hotel’s restaurants are endlessly popular with tourists and locals alike especially the D-bar which has views over the Ringstrasse and serves creative cocktails with a modern twist. It also offers a unique cigar selection from finest countries. The Dstrikt Steakhouse offers local, seasonal dishes with a focus on steak from Austrian Dry Aged Beef. The Melounge Lobby Lounge offers the perfect alternative to a traditional coffeehouse visit. The Tea & The City afternoon tea is served with finest ingredients of the house and ensures a memorable afternoon. And finally, the Atmosphere Rooftop Bar offers breathtaking views over the cityscape of Vienna and refreshing cocktails as well as wine. During the winter months, the highest and most exclusive Christmas Market of Vienna takes place here. Guests can enjoy mulled wine and roasted almonds while taking in the stunnding views of the snowcovered rooftops.